A recent study conducted by the Picower Institute of Learning and Memory at MIT could possibly help improve diagnosis and future treatment of Bipolar Disorder for many people. In the article posted by Medical News, Today explains how the study identified and observed genetic differences in a gene called CPG2 which can be tied to an increased risk of developing Bipolar Disorder. 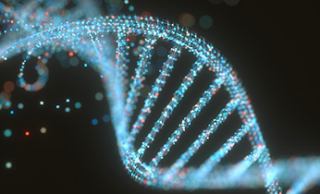 The study in no way says that this mutation is the direct cause of Bipolar Disorder but, they found that lower levels of CPG2 were found in patients with this mental disorder. I found this article really interesting to read because there is a common misconception/stigma that surrounds mental illness. A lot of people tend to believe that mental illness does not really exist and that it really is just in peoples heads. Especially when it comes to specific disorders such as Bipolar disorder, where it's thought to be mood swings you can't control. However, this finding could help educate people so they can see that it, in fact, has to do with specific genes in your body.